Alister Dalimar returns again, as does his maniacal quest for immortality. After your last trip to Ravenhearst Manor, you’ve been declared legally insane and now inhabit the very same cell your nemesis used to call home in the Manchester Lunatic Asylum. Stopping this rotten villain won’t be an easy task at all, but you’re the only one who stands a chance! It seems Alister’s granddaughters have a plan for you to be a pawn in their evil schemes. Are they truly evil like the rest of the family, or are they under some terrifying spell? Hurry, you must get free before it’s too late! 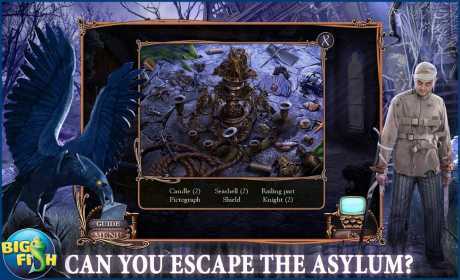 • CAN YOU ESCAPE THE ASYLUM? 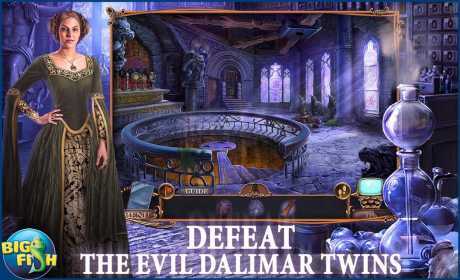 Find your way out through dark and thrilling hidden object scenes. 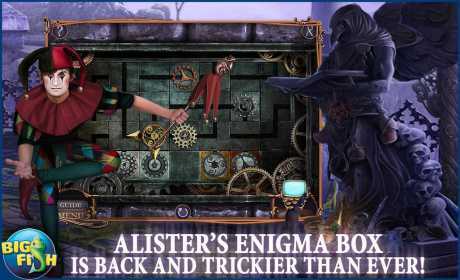 • ALISTER’S ENIGMA BOX IS BACK AND TRICKIER THAN EVER! Thwart your enemy’s evil design in a variety of eerie puzzles and twisted mini-games. See Alister’s side to this story and enjoy additional Collector’s Edition exclusives including collectible Lighthouses, special achievements, and more!